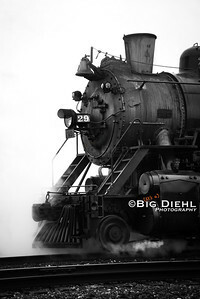 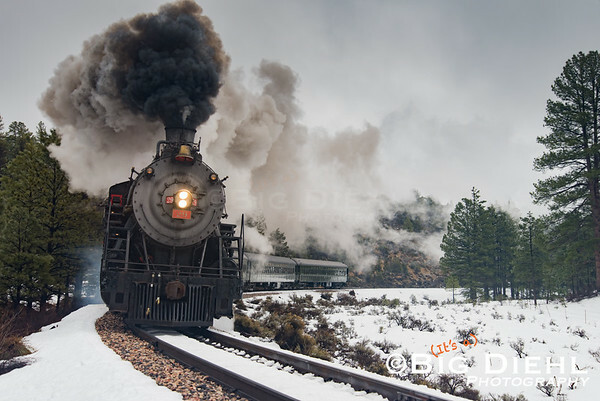 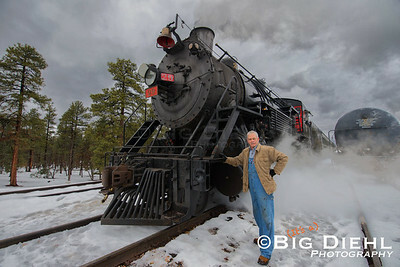 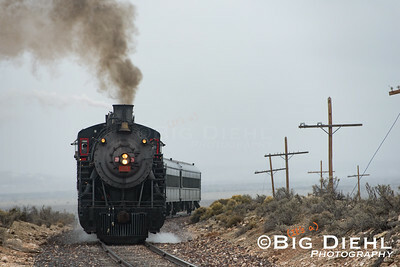 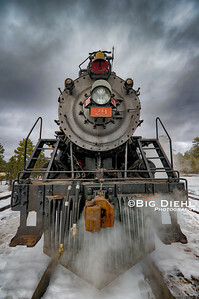 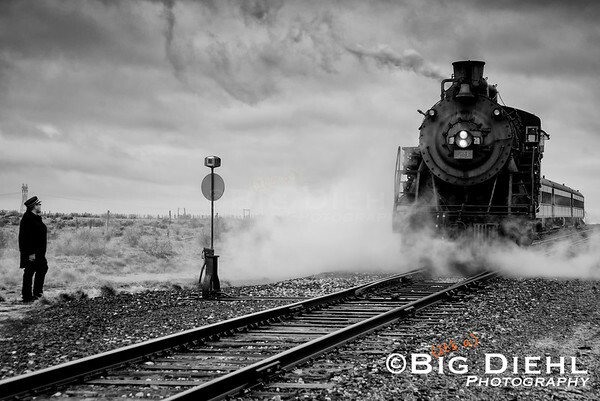 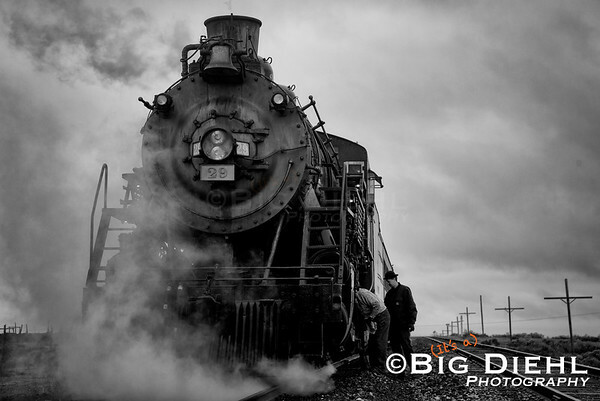 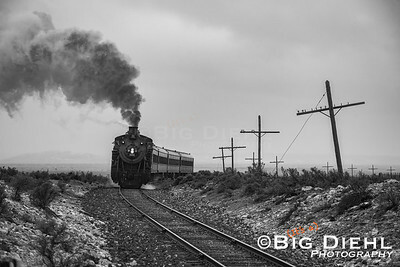 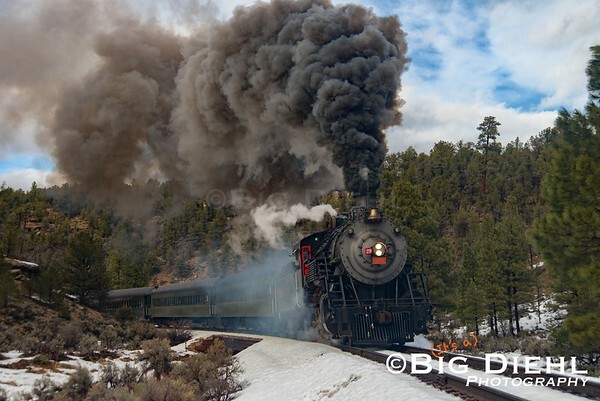 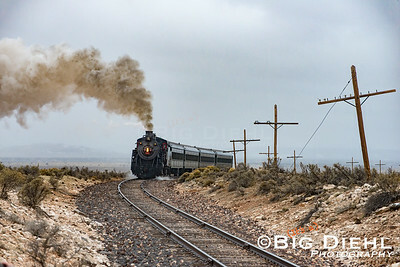 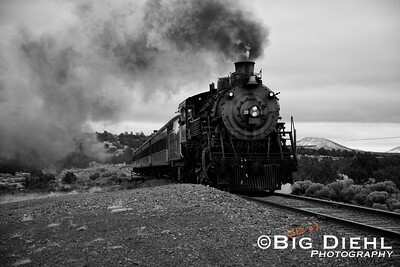 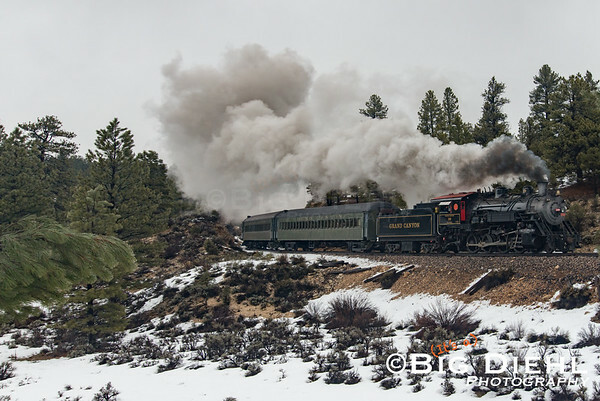 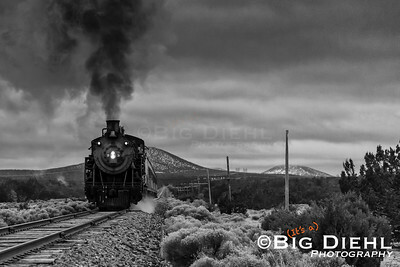 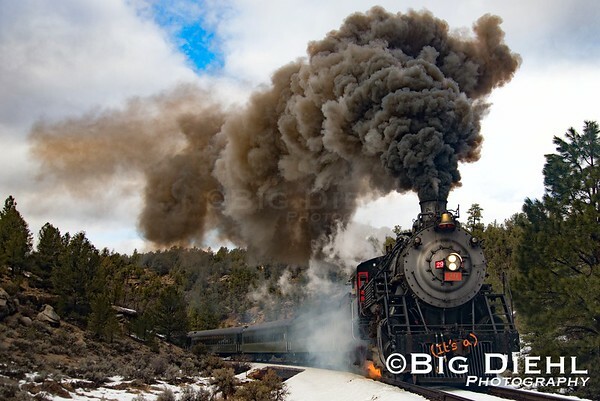 In early 2017, Lerro Productions chartered the Grand Canyon Railway's steam locomotives #29 and #4960 and their fleet of vintage passenger cars for two days in early February. 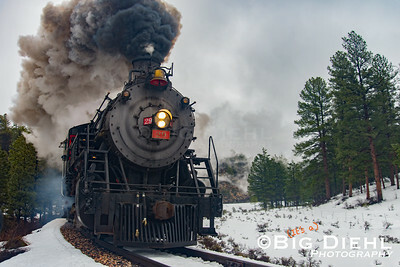 The shots seen here cover the bulk of those two days, with the railroad's 2-8-0 #29 running solo the first day, and 4960 taking the reins early the second day to be joined with 29 for the second half. 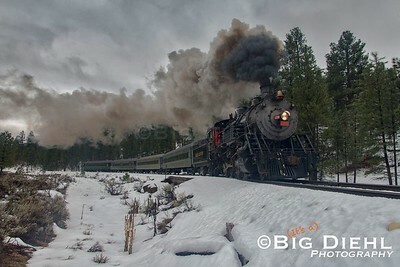 With the Northland socked in by overcast skies, the first runbys are performed under the cover of clouds. 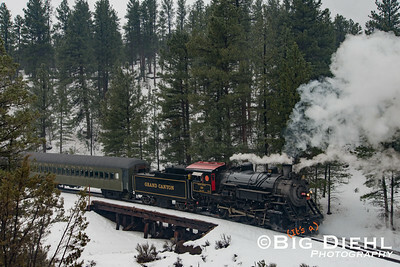 Seen here, we're at Milepost 17, or as now in the GCR's timetable, The North Pole. 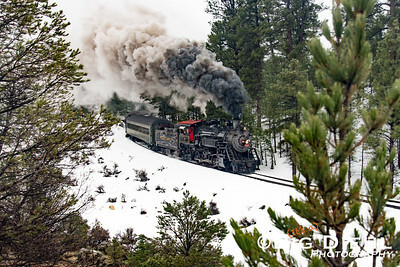 Popping over a small hill, 29 heads North towards the station site of Valle. 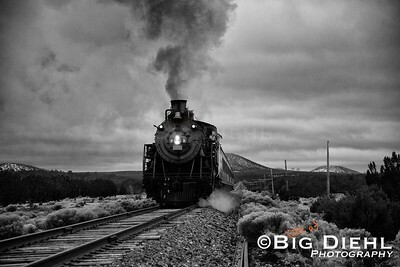 Entering Coconino Canyon south of the National Park, the train skirts the edge of the ancient serpentine waterway. 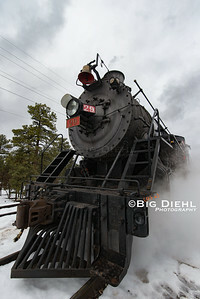 In Coconino Canyon, south of the National Park, the train skirts the edges of the ancient serpentine waterway.